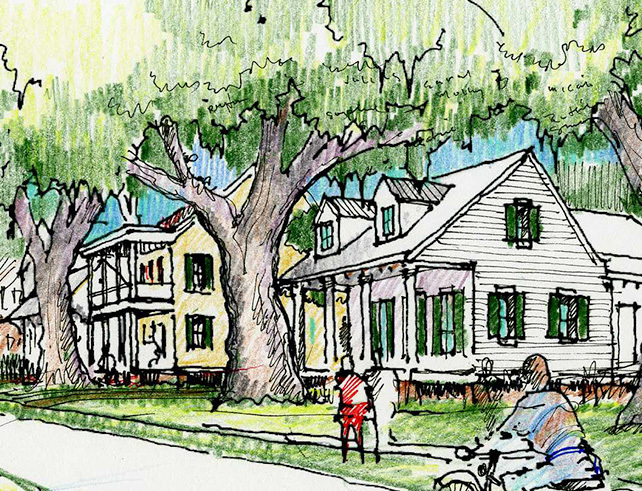 Located just minutes from downtown Baton Rouge in nearby Brusly, Stonewall Plantation marks the first chapter in what is certain to become one of south Louisiana’s most talked about traditional neighborhood developments (TND). A 275 acre neighborhood on the site of the historic Cinclare Plantation “Additions”, Stonewall Plantation will offer residents the qualities of small town life — homes with inviting front porches, safe and friendly tree-lined streets, and a pedestrian-oriented, mixed-use town center offering a unique and inviting retail and residential environment. In addition, the multi-use development’s close proximity to quality public schools – including a neighborhood elementary school – local playgrounds and recreation areas will make Stonewall Plantation an attractive choice for young families.